Could Breath Of The Wild Link Star In Super Smash Bros On Switch? The Hero of Time's Breath of the Wild variant could make an interesting addition to the Smash Bros. lineup. While there's no release date or even a proper announcement of development for the game, it basically goes without saying that the popular brawling series Super Smash Bros. will eventually make its way onto the Nintendo Switch. There's plenty of speculation online as to whether the Switch will get an all-new Smash Bros. title or simply an update of the Wii U Super Smash Bros. title, but regardless of the path Nintendo chooses to take, a Switch game in the series is very likely to include a host of new content, which may possibly include a version of Link based on his appearance and skill set in The Legend of Zelda: Breath of the Wild. Nintendo has a fairly rich history of updating their Super Smash Bros. games with all of the latest Nintendo characters, and by now, players familiar with the Wii U incarnation of the game can play with the likes of Skyward Sword Link as well as Toon Link from the Wind Waker. 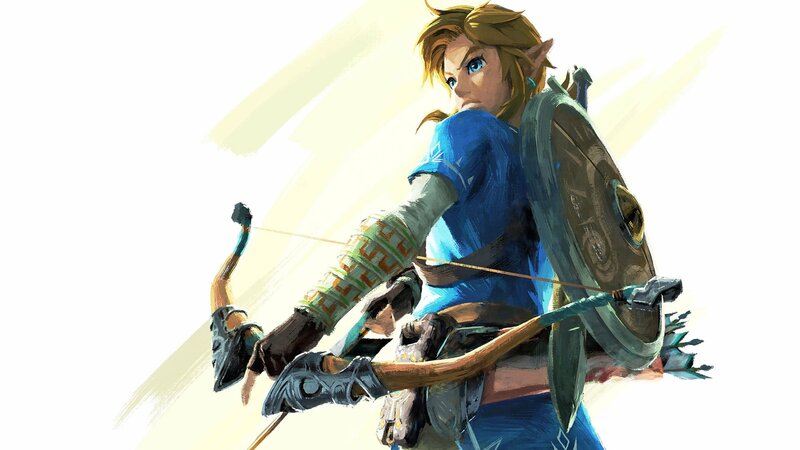 It stands to reason that Nintendo could easily include a re-skinned version of the character based on his appearance from Breath of the Wild; however, keen Smash Bros. fans would be even more interested to see an all-new version of Link with new skills and attacks based on his abilities in Breath of the Wild. Several of the abilities Link picks up in his journey through Breath of the Wild would make for excellent additional attacks in a Super Smash Bros. title. In particular, one Reddit user going by the name of Nitroapes has suggested that the Revali's Gale attack would make an excellent up special maneuver, Urbosa's Fury could make for an excellent ground pound-type attack. Regardless of whether Link in Super Smash Bros. for the Nintendo Switch is simply a re-skin or an all-new character, fans will be pleased to see his inclusion. And, knowing the way that Nintendo works in regards to fan expectations, there's little chance those types of fans will be disappointed. Nintendo has yet to formally announce development of a Super Smash Bros. title for Nintendo Switch. However, speaking in an interview with Time about the online capabilities of the Switch, Nintendo of America president Reggie Fils-Aime let loose a fairly clear-cut hint of the series' future on the hybrid console. "Our overall proposition will not look the same as our competitors. But what we will do, is we will recognize what consumers like about our competitors, we will look to do it in a way that has a Nintendo flair to it. And we will look to make sure that in the end, we've got this robust, online environment that not only works well for our games, like Splatoon and Mario Kart and Smash Bros., but that also works great for our third party developers." While it's far from any kind of official confirmation, the game's inclusion in a potential Switch lineup -- as well as the inevitability of the series landing on what's being hailed as one of the biggest Nintendo consoles of all time -- leads many players to thinking not in terms of "if," but in terms of "when" Smash Bros. will finally land on the Switch. Super Smash Bros. isn't available for the Nintendo Switch yet, but there are plenty of other excellent titles to fill your time featured on our list of the Best Nintendo Switch Games.